Do you prefer "noodle hips" or a spring in your step? Do you prefer “noodle hips” or a spring in your step? Have you ever come out of a yoga class with your legs feeling like noodles? This often happens if we do a lot of so-called “hip opening moves” in a yoga class. The main idea behind those poses is to loosen up the hips, which usually means a lot of Pigeons and Badha Konasanas. If the hips are underused it means that the muscles get weakened and have trouble maintaining the muscle tone – stretching the weakened muscle is not the best idea. A much better solution here is to strengthen it by contracting. If the hips are overused it means that there are microscopic tears in the muscle fibers that your body is trying to repair. 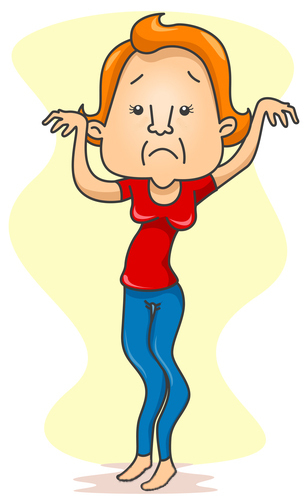 The nerves within the muscles perceive this state as abnormal and send messages of pain to your brain. The best way to restore the muscles to a normal state is gentle movement that helps reduce the swelling. Stretching the injured muscles that are trying to heal is not the best way to approach it. When the hips feel sore from improper use it means that the balance between the different muscles is disturbed, so we need to take a closer look at muscle relationships and work on restoring balance between them. Stretching might be part of it, but overstretching certainly shouldn’t be. In fact, looking at muscle relationships is an essential part of working with underused, overused or improperly used hips. The most obvious one is the agonist-antagonist relationship between the muscle groups – when one muscle group is stretching, another one is contracting. For example, when the hip flexors are contracting, the hip extensors are stretching and vice versa; when adductors are stretching the abductors are contracting and vice versa. So if we want to develop balanced muscular relationships, any stretch we do needs to be supported by contraction on the other side. Yet this is not the case for many yoga poses (or the way we do them). Let’s take a look at flexion/extension first. In this version of Cat Cow we are working on developing a balanced muscular relationship because we work on alternately contracting and stretching of both hip flexors and hip extensors. If we do a simple lunge with the purpose of stretching the hip flexors but do not engage the glutes, it means that the stretch will not be supported from the back, which means that the relationship between the two will not be balanced. Engaging the glutes will deepen the stretch and activate the opposite side for support. 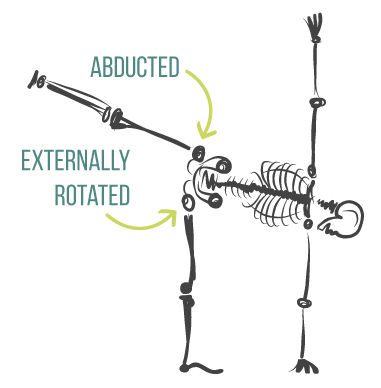 Or let’s look at adduction/abduction. If you simply do the Bound Angle pose, you will work on stretching the inner thighs without creating support from the abductors. But if you do Jathara Parivrtti or Supta Parsva Padangusthasana, you will create a more balanced relationship between adductors and abductors. Now when it comes to external hip rotation things get a little tricky. We all know how to stretch the rotators (just fold the legs into a Pigeon-like position), but how do we work them? There are two different ways to do it. 2. By externally rotating the hip against gravity (like you do if you rotate the leg out in Jathara Parivrtti). 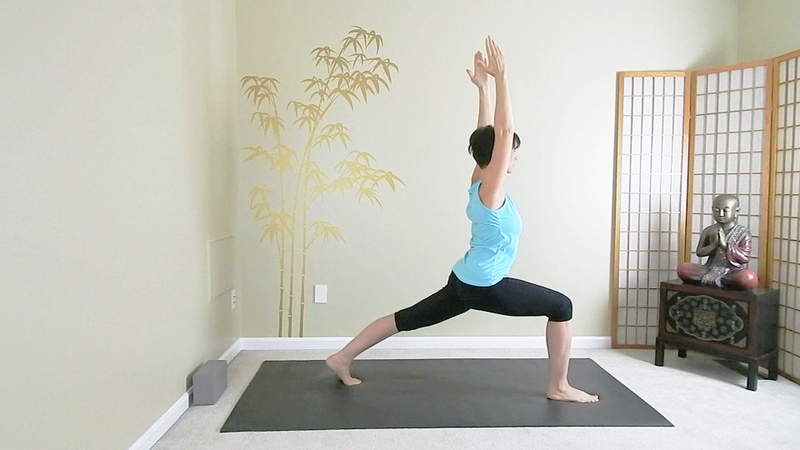 So it is very important to include movements like that if you intend to do any “hip opening moves” in your practice. On the other hand, the antagonist movement of the external hip rotation is internal rotation (which we don’t do much of either in daily life or our yoga practice). The good news is that the same muscles that do the abduction (gluteus medius and gluteus minimus) also do the internal (medial) rotation. So as long as you include the movements that abduct the leg, you will be all set. The Half Moon pose is surprisingly good for that, since here the position of the bottom hip works the external rotators, while the position of the top leg works the abductors, as long as you keep lifting that top leg and don’t let it droop. So here is my personal test of the practice’s effectiveness: if at the end of the hip-focused practice my hips feel stiff and uncomfortable – I didn’t do enough; if they feel stable, the movement is easy and there is spring in my step – I did just enough; if they feel like noodles – I overdid it. It’s always useful to evaluate how that “stretchy” feeling we get translates into our movement in day-to-day life. Next time we will take a closer look at a specific group of poses that we collectively call “pelvic opening poses.” How are they different from “hip openers”? You will find out next week! Check out this balanced yoga practice for the hips that includes both strengthening and stretching poses for the full range of motion in the hip: flexion, extension, adduction, abduction and rotation. Thank you for this, Olga. I’m living proof that hip strengtheners are effective. I had hip pain for at least 10 years & “hip openers” did nothing to resolve it. Since arthritis problems run in my family (one relative has had 4 hip replacement surgeries), I figured I was destined for a hip replacement at some point. My doctors agreed. Then, I came across a practice that included a jathara parivrtti clam-shell type adaptation. My abductors were so weakened, I almost couldn’t do one repetition, but after one practice, for the first time in years, almost no pain! Of course, that adaptation & several that you’ve offered in your virtual yoga studio serve me well & are regularly in my practice now. Looks like I’ll be keeping my original hips, at least for a good long while!